Euro Motors, the exclusive importer and distributor for luxury automotive manufacturer Jaguar Land Rover in the Kingdom of Bahrain, recently launched an exclusive ‘Buy Now, Pay Later’ campaign that runs from the 5th to the 19th of September 2017, that extends to all the APPROVED vehicles under the Jaguar Land Rover certified pre-owned vehicles program. The promotion allows customers who wish to own an APPROVED Jaguar or Land Rover vehicle to do so by making a 50% initial down payment and the remaining 50% payment after 2 years. Alternatively, buyers can also purchase their desired vehicle by making a 20% down payment initially and paying the remaining amount in installments at an interest rate of 0% over 5 years. The campaign further presents customers with additional incentives including free Service Package, warranty and 24/7 road side assistance, along with complimentary registration, insurance and window tinting for selected models. Moreover, Euro Motors Jaguar Land Rover further offers Jaguar enthusiasts a discount of up to BHD 5,000 on all APPROVED Jaguar vehicles. With an entire floor of the Euro Motors Jaguar Land Rover Showroom dedicated solely for APPROVED vehicles, customers can browse through and select their dream cars with absolute ease. Each and every APPROVED vehicle available at the showroom goes through vigorous inspection and testing before being put on display, hence prospective customers are assured that the vehicles are available in the best of conditions while being extremely affordable. 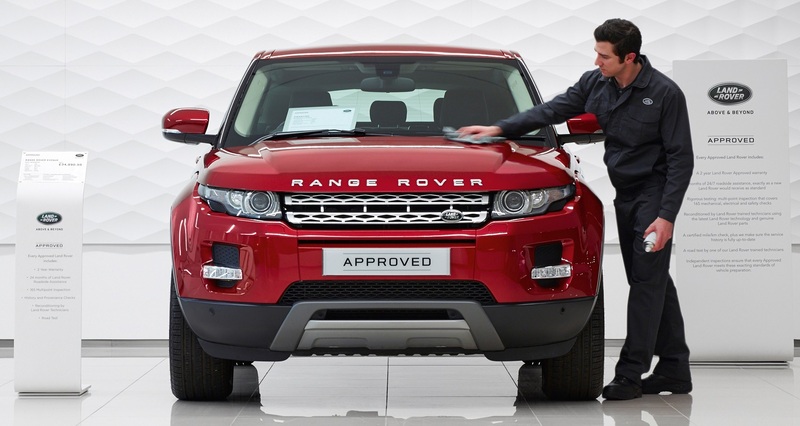 “In order to provide our customers with the level of excellence that we stand by, the APPROVED vehicles are reconditioned by Jaguar and Land Rover Trained Technicians using Jaguar Land Rover technology and genuine parts, which allows our customers to experience them in all their magnificence. The APPROVED vehicles go through a certified kilometer check and by doing so, our customers are granted a fully up-to-date service history which in turn promotes our value for customer satisfaction. Once the checks and reworking on the APPROVED vehicles are completed, they are taken on a road test by one of our Jaguar Land Rover Trained Technicians. The entire process is thoroughly done to ensure that our customers are able to purchase the finest certified pre-owned Jaguar or Land Rover in the Kingdom. With the economical advantages and the other benefits on avail, customers are guaranteed exceptional quality and ensured affordable luxury at absolutely no compromise,” he added.